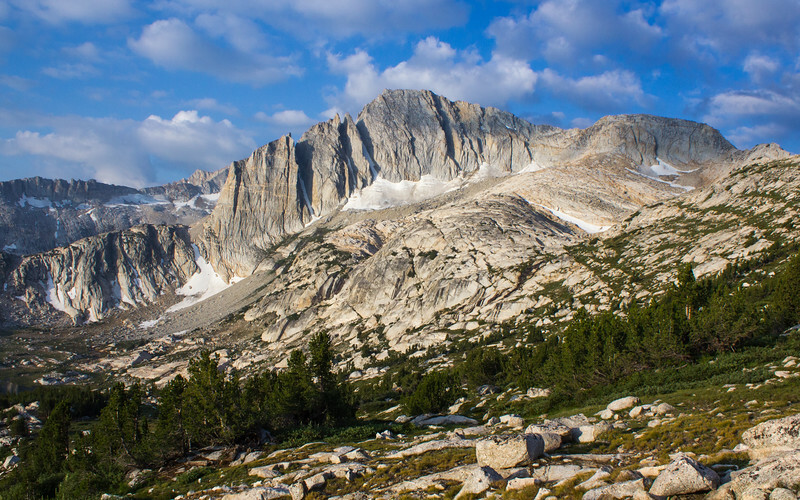 Soft summer morning light shows off the impressive north face of North Peak (12242 ft / 3731 m), near the eastern edge of Yosemite National Park. It's a Sierra classic, with great granite for climbing, and several spicy couloirs for ice climbing and skiing. All just an easy two-hour hike from the trailhead at Saddlebag Lake.